By Jason Kim: Bob Arum says he still hasn’t been personally contacted by either Floyd Mayweather Jr. or one of his management representatives about putting a fight together. Since he’s not hearing from any of them, he’s not buying that they’re really indeed interested in fighting. On Tuesday, Mayweather sent a tweet out on his twitter account, calling Pacquiao out for a fight on May 5th and calling him a “Punk.” It was understood that there should be some kind of contact from either Mayweather one of his team members to Top Rank to start the ball rolling to negotiate the fight. However, Arum is saying that he hasn’t received a call and it appears he’s not going to life a finger to call himself until he receives a call or text message. If Mayweather wants Golden Boy Promotions to negotiate for him with Top Rank, then he’s going to have to advise Arum that they have permission to do so before he starts the negotiation process. 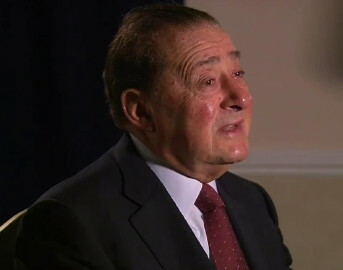 Hopefully, Mayweather isn’t waiting for Arum to make the first move because it sounds as if Arum isn’t going to do that. Maybe he’s been burned too many times and is jaded from the experiences. In that case, Mayweather will have to make the call himself of have his personal adviser make the call. It’ll be sad if the fight doesn’t get made because no one is making the phone calls.